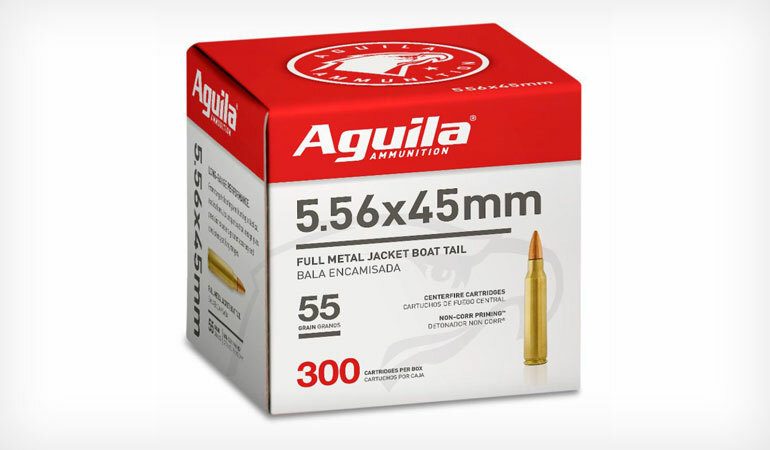 Aguila Ammunition is now offering bulk packaging for their 5.56 caliber ammo. The 5.56x45 Full Metal Jacket Boat Tail is a 3.56 gram, 55-grain round now offered in a 300-round bulk package with an MSRP of $119.99. In addition, Aguila will continue to offer its 50-round box configuration of the 5.56x45 62 grain product that is currently on the market. The 5.56 round is the perfect ammunition for long-range performance with a velocity of 3260 FPS and is designed for 24’’ length barrels. From target shooting and hunting to tactical applications, its unique boat tail design gives precision shooters greater accuracy and consistency. For more information on the 5.56 and other Aguila Ammunition, visit: https://www.aguilaammo.com/centerfire/#rifletab.